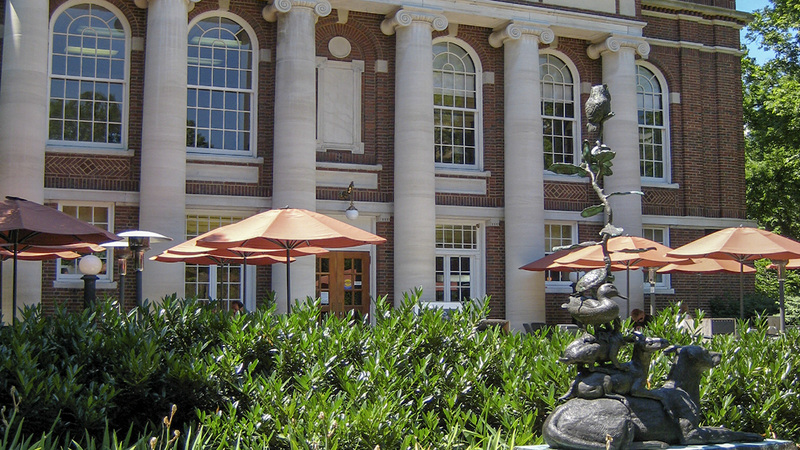 Although its name has changed several times, Peabody College traces its origins to 1785 and was relocated to downtown Nashville in 1806. 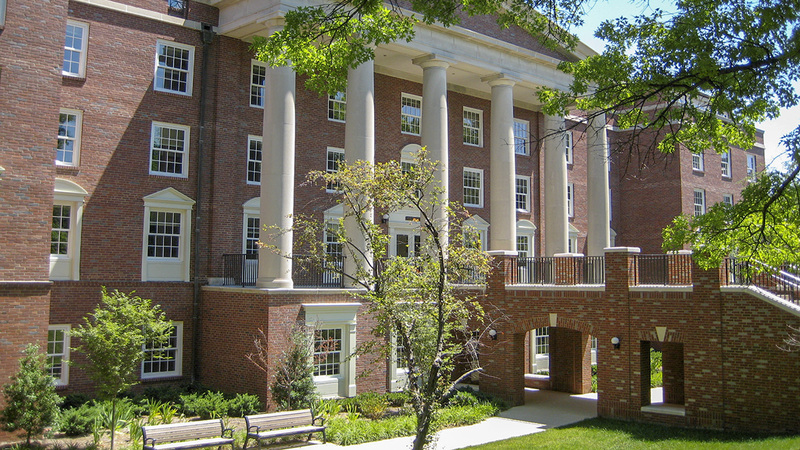 The college moved to its present location in 1911 and merged with Vanderbilt University in 1979. 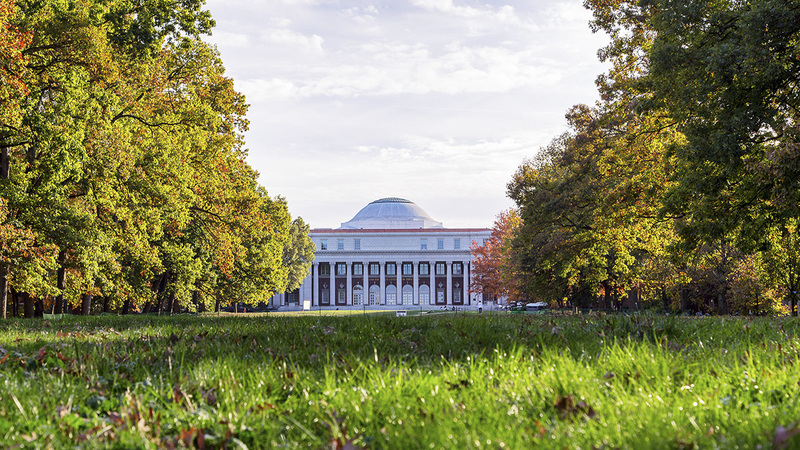 With its first buildings substantially complete by 1914, the campus was designed by the architecture firm Ludlow and Peabody in collaboration with landscape architect Warren Manning. 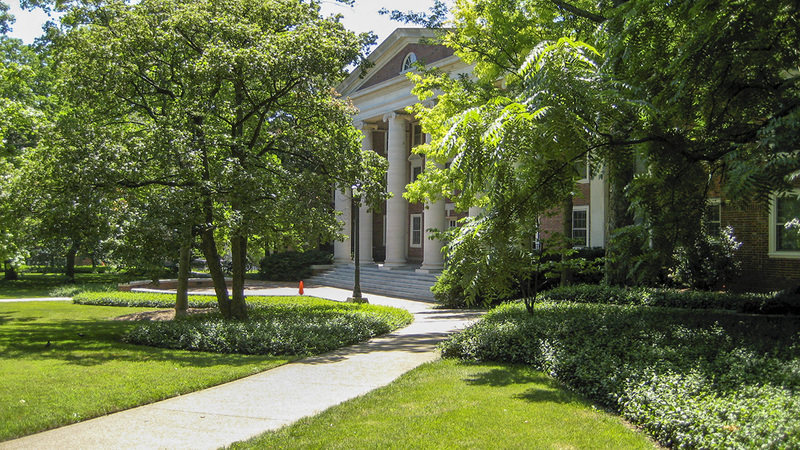 Comprising some 22 buildings set on 55 acres, the campus was laid out on a strictly rectilinear plan with primary and secondary axes, modelled closely on the plan for the University of Virginia. 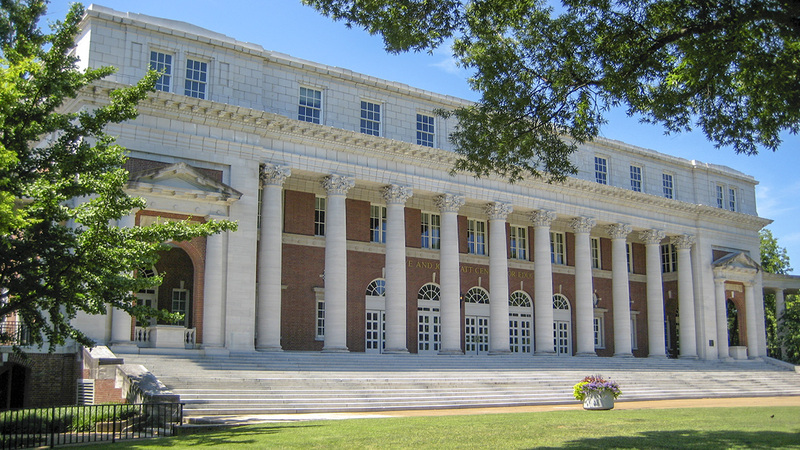 The primary axis is a long, tree-lined lawn (known today as the Peabody Esplanade) flanked by brick neoclassical buildings with columnar facades. 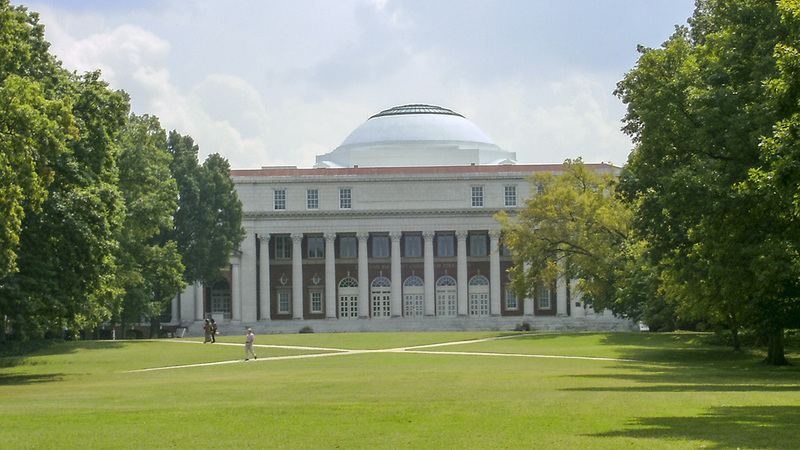 The domed Social Religious Building (now the Wyatt Center) anchors the southern end of the lawn, its arcing colonnades extending to two dormitories sited transversely so as to frame two subsidiary, open lawns. The Magnolia Lawn, a separate, expansive green space ringed by trees, frames the northern end of the central lawn. To the east, and forming the campus’ secondary axis, are two quadrangles in north-south alignment. That to the south is parsed into quadrants by two intersecting paths, while that to the north is inscribed by parabola-shaped pathways whose juncture marks a change in elevation negotiated by stairs. Concrete paving crosses the northern lawn, extending from Horton Avenue to the east and allowing vehicular access to the interior of the campus. 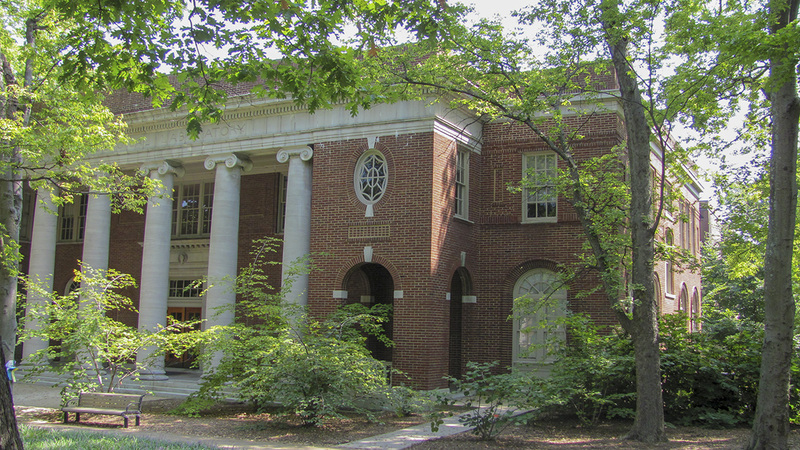 The grounds are home to several monumental buildings of architectural significance, such as the three-story Cohen Memorial Hall, designed by McKim, Mead & White and completed in 1928. 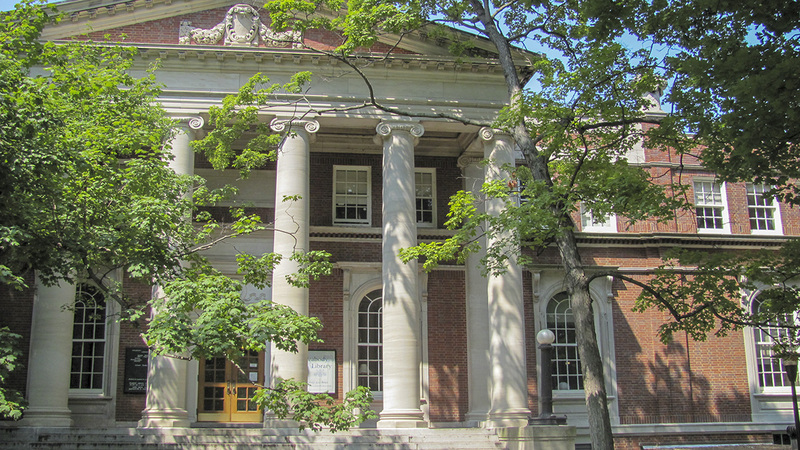 The George Peabody College of Vanderbilt University is listed in the National Register of Historic Places and was named a National Historic Landmark in 1965.